You and this credit card are going to go everywhere and pay for a lot of things together. 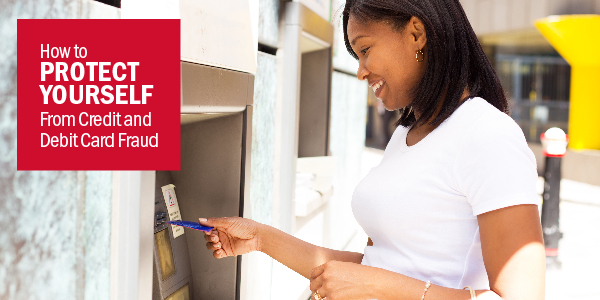 Make sure the card you pick is widely accepted – not only in the U.S. but overseas as well. You never know where life is going to take you. This one’s simple. There should be none. Zilch. Nada. We know that you are going to be very responsible and pay your bill on time each and every month. But stuff happens. If you are up to 60 days late in making a payment, a penalty APR, which can be as high as 29.9%, kicks in for future purchases (not your existing balance). But if you are more than 60 days late in making a payment, the penalty APR can be applied to your entire balance. You must make on-time payments for at least six consecutive months before the penalty rate is lifted. There’s more. The penalty APR can also be applied if you go over your credit limit or have a payment returned. 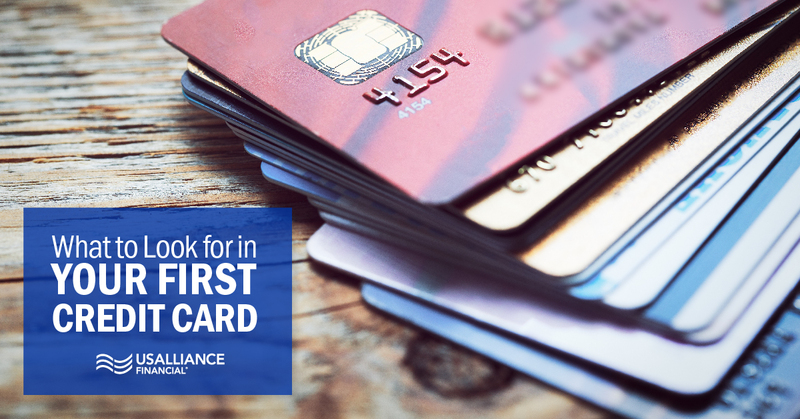 To help avoid a financial disaster, look for a card that carries no penalty APR. Trust us – they’re out there. Credit card rates (the one assessed on balances you carry month to month) can run a wide spectrum. And it’s important to remember when researching your card that advertisements will usually show the institution’s “as low as” rate. This is reserved for their most creditworthy customers. Take a look at the institution’s Schumer Box, or the table which summarizes the costs associated with the credit card and is legally required to be presented to consumers. The Schumer Box will provide the card’s entire rate structure. If you know your credit score, you can estimate what rate you may receive. (Note that credit grading differs across financial institutions so at Bank B your score may be a “C” but at Credit Union A you’re considered a “B”). Don’t know your credit score? Make it a point to get to know it and stay on top of it. Who doesn’t like to get rewarded? And you may feel that if you’re making this card is your “one and only”, you should get something out of the relationship. And that’s okay. Just do your homework. Get into the nitty gritty of the card’s reward program. How do you earn rewards? Are the offered rewards something that appeals to you? Is there a time restriction on redeeming rewards? Are the rewards in line with what you spent to earn them (For example, if your earn 1 point per dollar spent and need 25,000 points to get a $25 gift card, you spent $25,000 to get it. Kind of puts that reward in a whole new perspective). Weigh those answers against the fact that your rate may be higher than a non-reward card. If you plan to carry a monthly balance, you’ll incur higher interest costs making that card maybe not so rewarding. Finding your first credit card is a bit like online dating. It's a combination of tenacity, open-mindedness and yes, a bit of luck. But if you keep at it, you will find the perfect card for you. 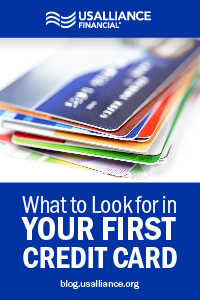 And then – you and your first credit card – oh, the places you will go! 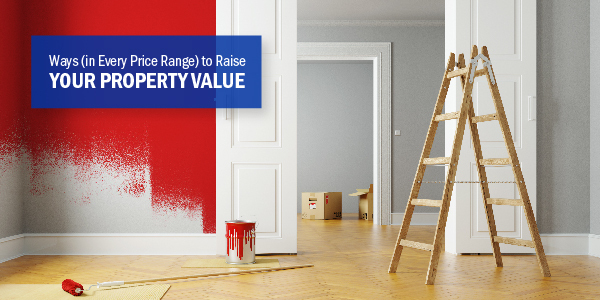 If you're in the market, click below to learn about the benefits of a USALLIANCE Credit Card.